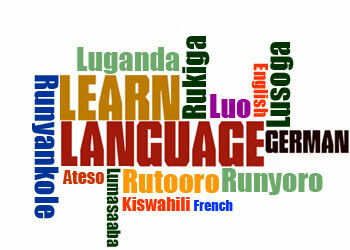 Language courses at CLC are tailored to suit the needs of the learner. We teach using what we call the "competency curriculum." This approach is designed to enable students to rapidly acquire the language skills necessary for daily living, while giving them the grammatical building blocks necessary to work towards fluency. Students may opt for individual instruction or group lessons with two to five students learning together. Small classes or individual instruction allows the instructor to tailor the classes to the students' learning styles and interests. CLC recommends that beginning students in local languages start with an intensive period of learning, spending 4 hours a day for 2-3 weeks in the classroom. After this initial period the student may opt to space out their classes. Courses in local languages can be offered at CLC's campus or at another location of the client's choosing, so long as the alternate location is free from interruptions. If the learner decides to learn away from the CLC campus they will be asked to pay for the instructor's transport but will not incur any additional costs apart from the standard tuition. CLC also offers Skype lessons. Courses in international languages such as French, German and English are offered to small groups, 2 hours a day, 5 days a week, at the CLC campus. Before a student is enrolled an oral and written interview is given to them to ascertain their level of proficiency. CLC has certified Language Proficiency Interview (LPI) testers. After completion of courses, language learners may request an oral test for local languages by a certified LPI tester. Following the test a certificate of attendance with the level of proficiency is issued. For international languages both an oral and written test are given at the end of the course and a certificate of attendance can be issued upon request.